… and we thought they were collard greens! Meet romanesco, one of the more wonderful displays of the Fibonacci sequence out there. 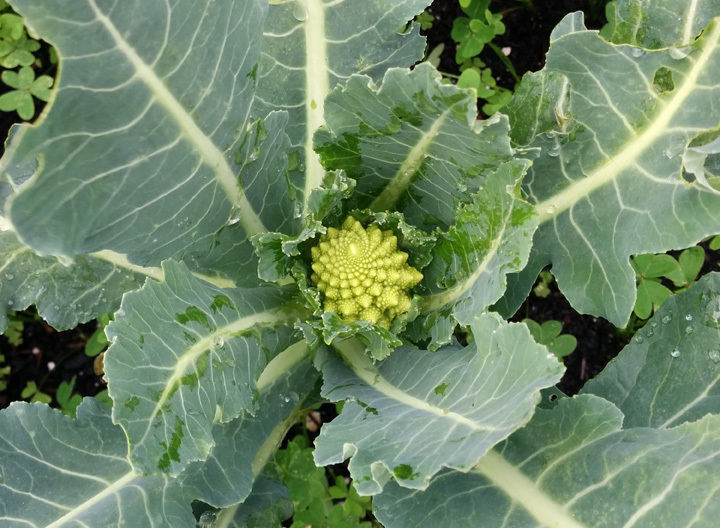 And there are now over a dozen of these happy little fractals in our school garden, quietly growing in the rain. While we are actively packing to move out of our building in a week and a half (more on that later), signs like this sure are welcome!